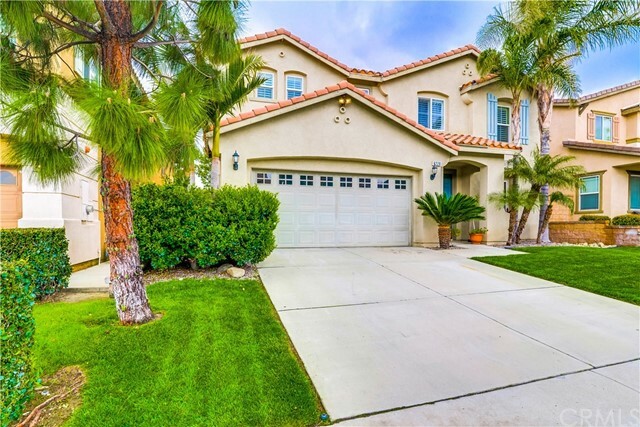 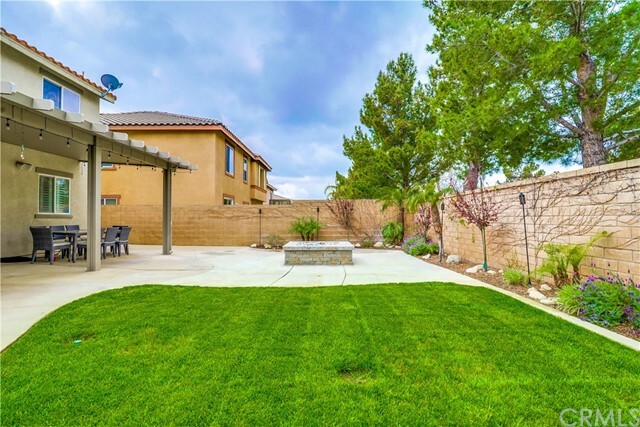 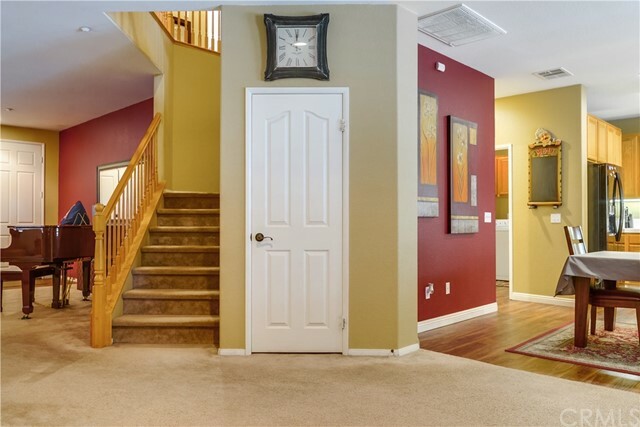 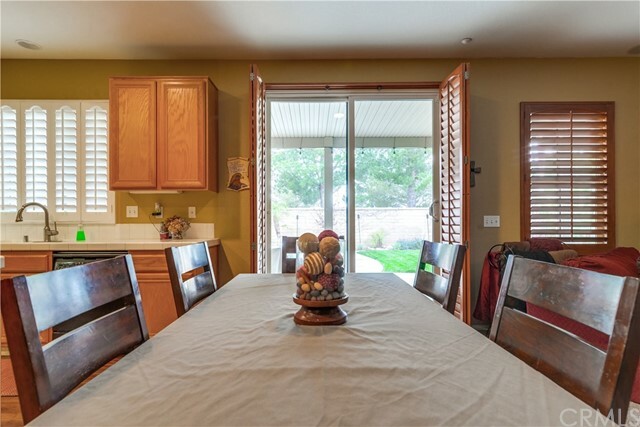 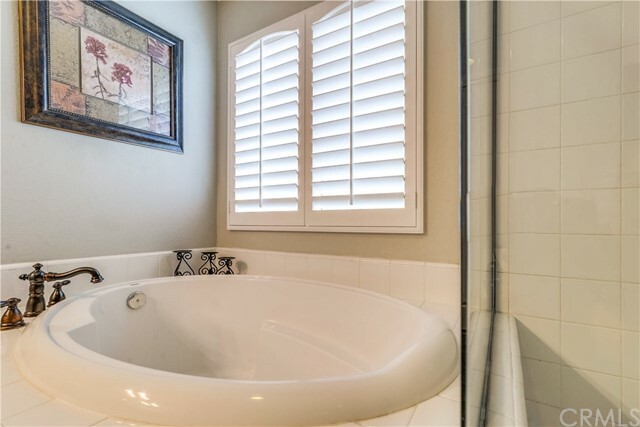 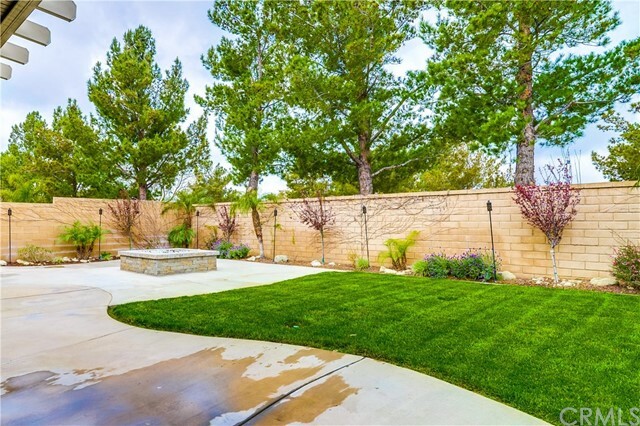 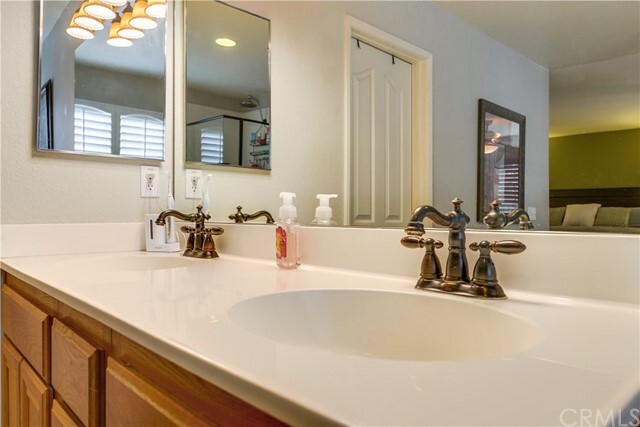 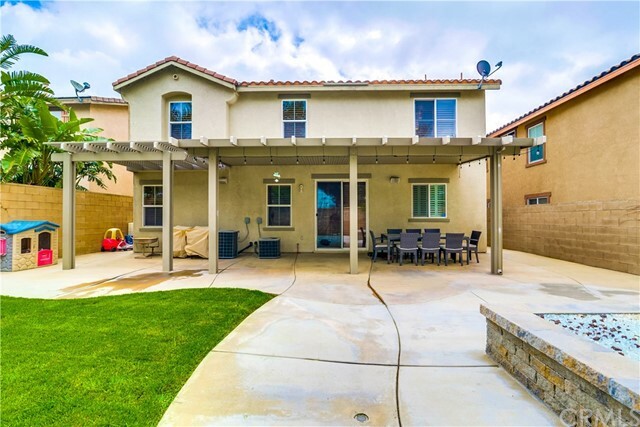 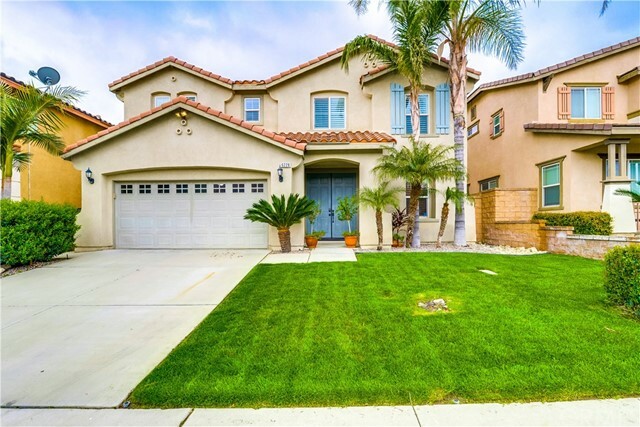 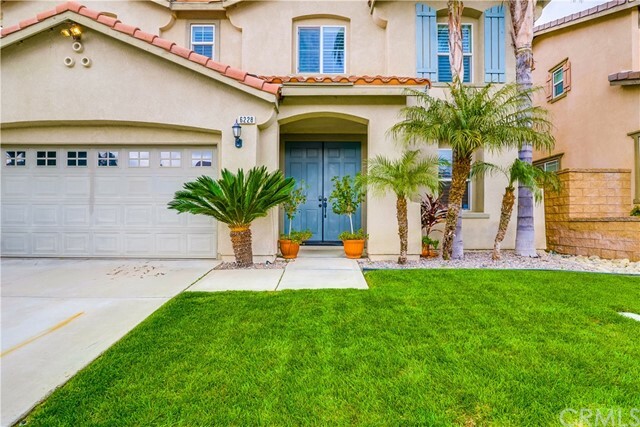 Located in the highly desirable area of Sierra Lakes! 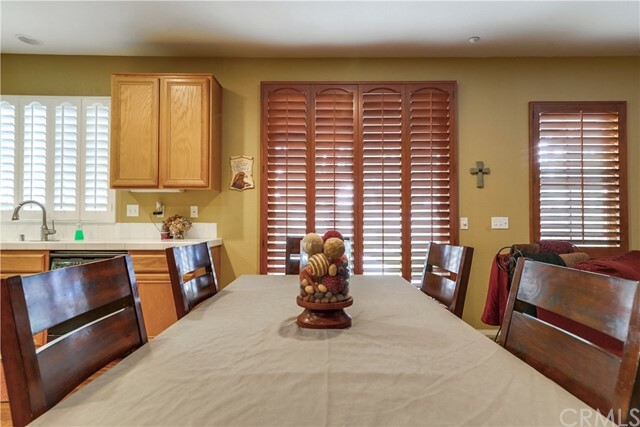 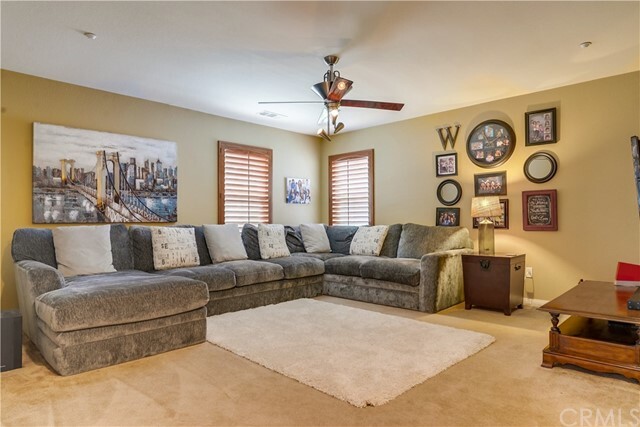 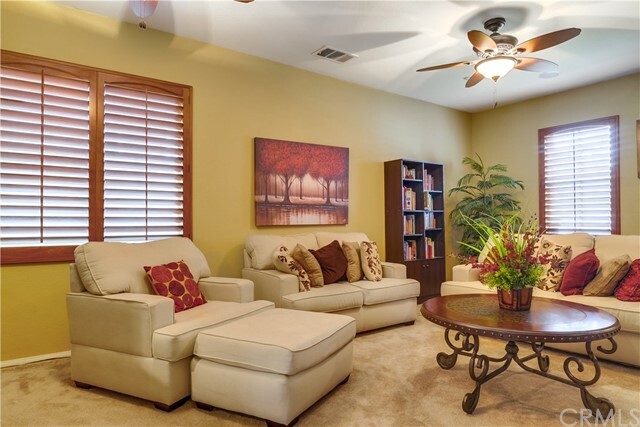 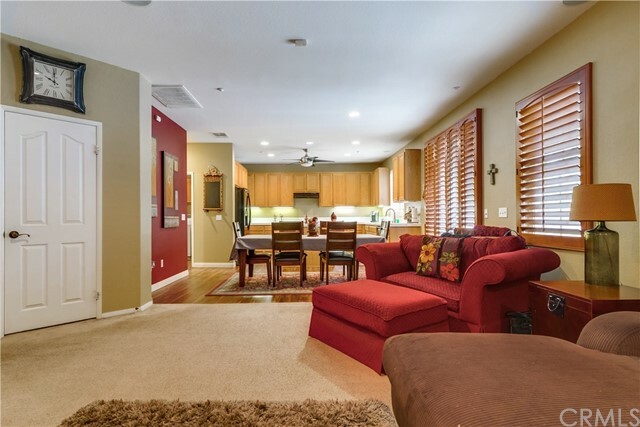 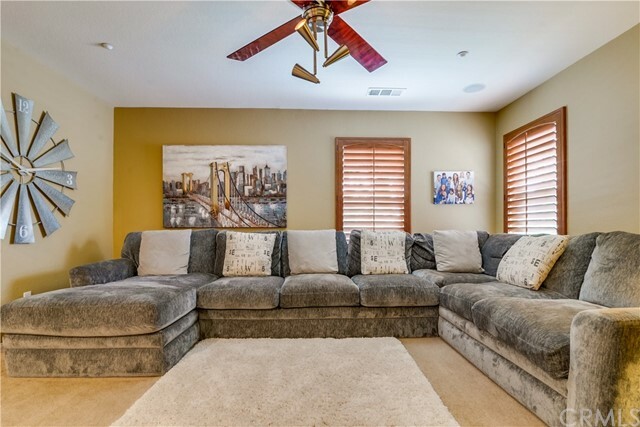 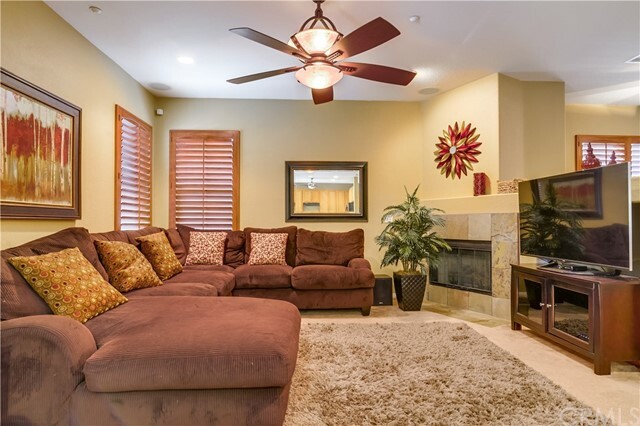 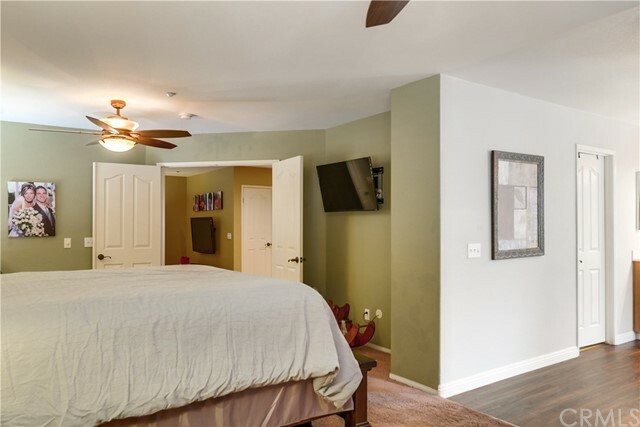 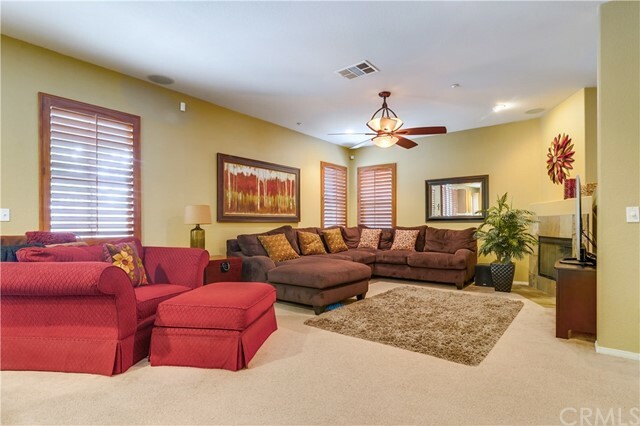 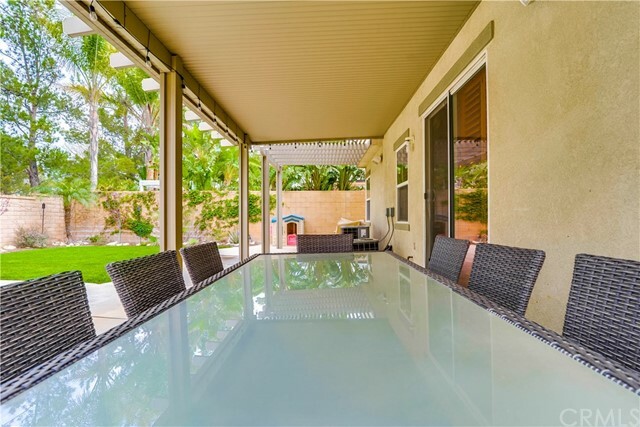 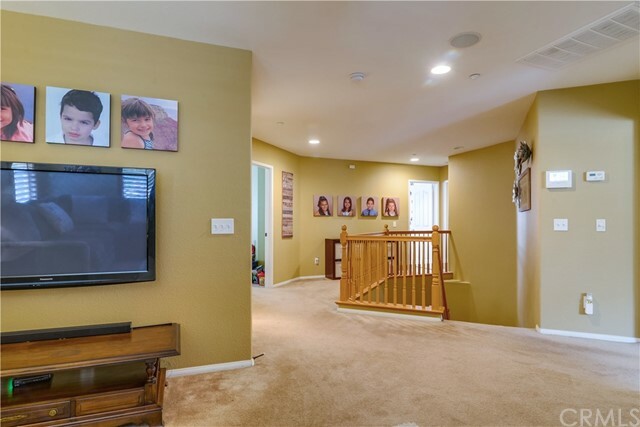 This spacious home has a warm and inviting entry with matching ceiling fans in the living room dining area combo. 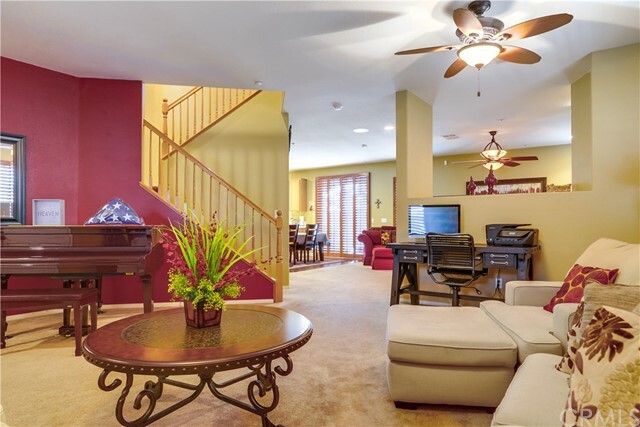 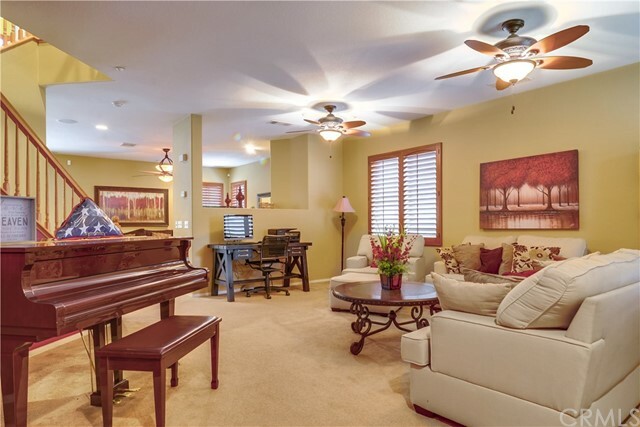 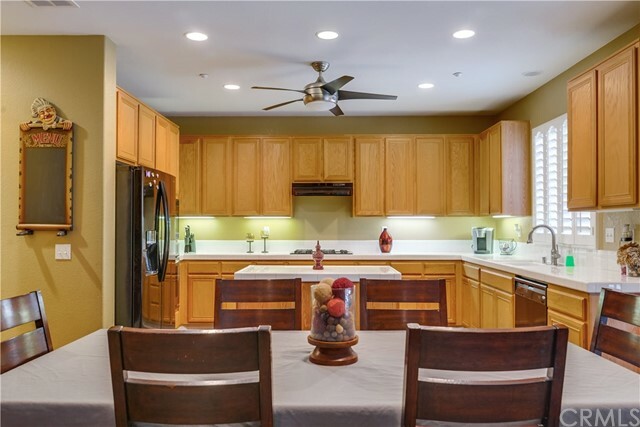 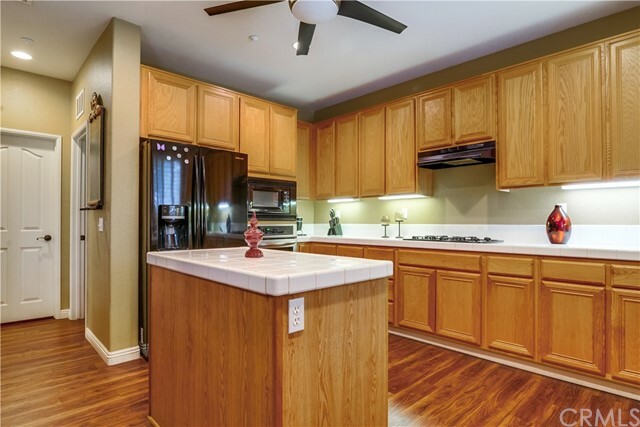 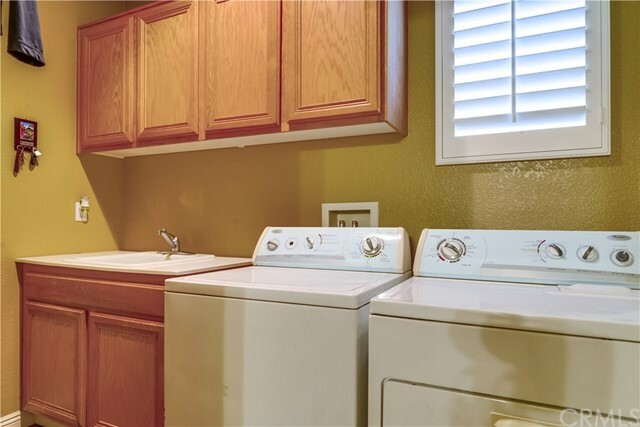 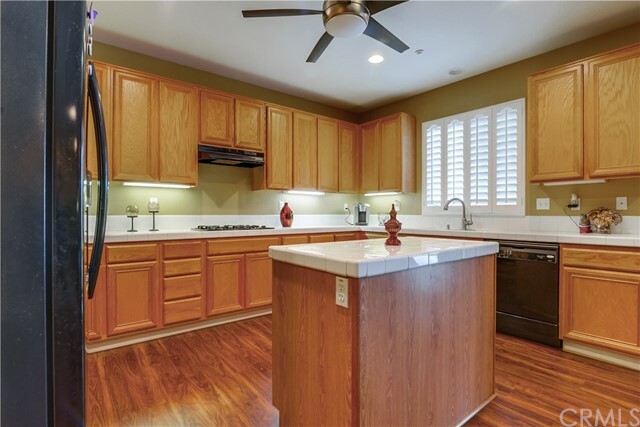 There is a separate family room and open kitchen with center island, pantry, and spacious laundry room on main level. 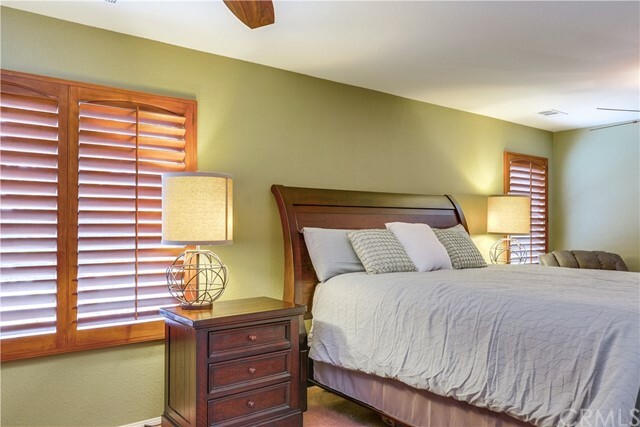 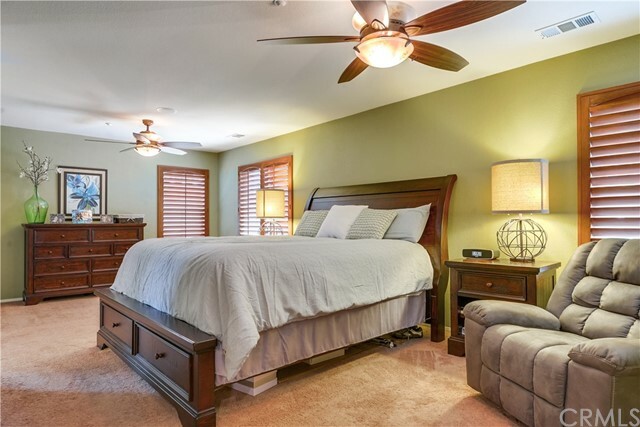 Upstairs, has spacious large loft, three nicely sized bedrooms and a large master bedroom. 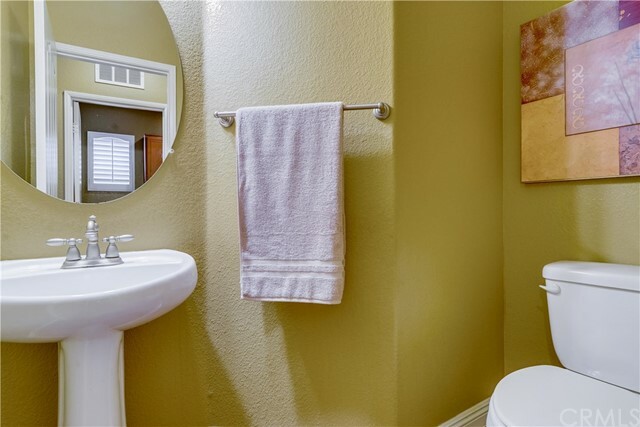 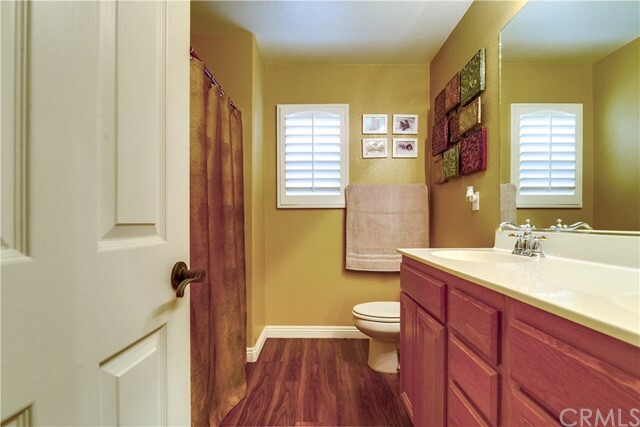 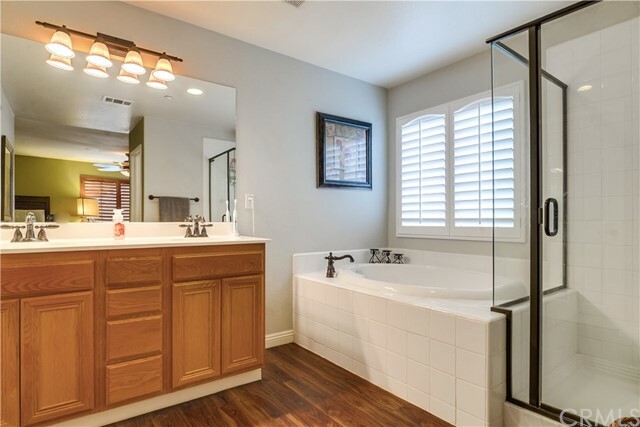 Master bathroom and closet won't disappoint. 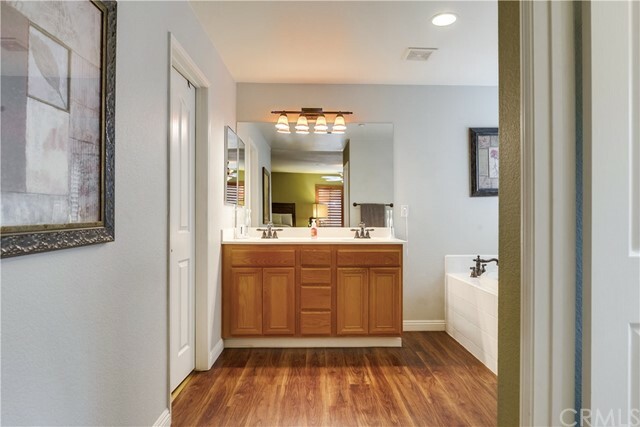 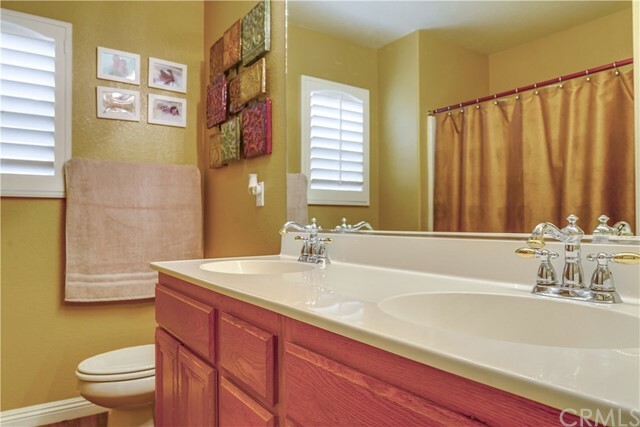 Hallway bathroom has double sink. 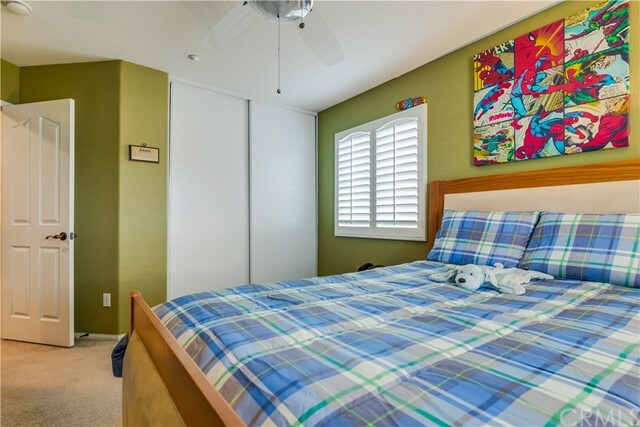 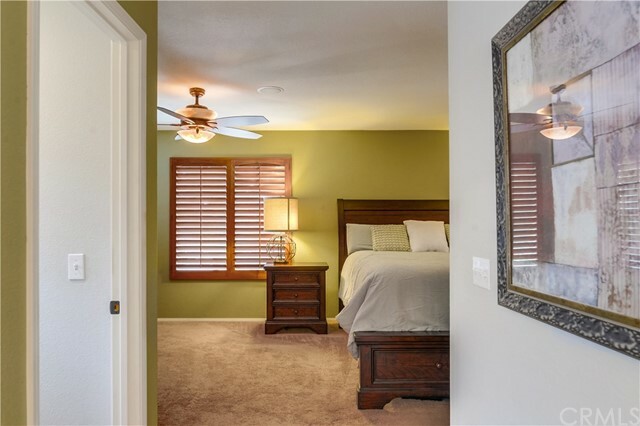 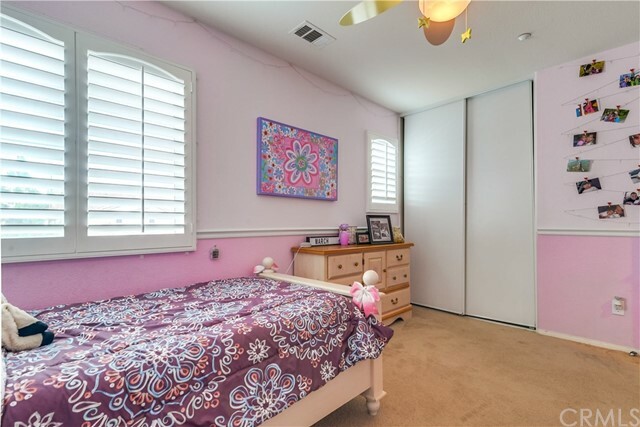 Custom shutters throughout. 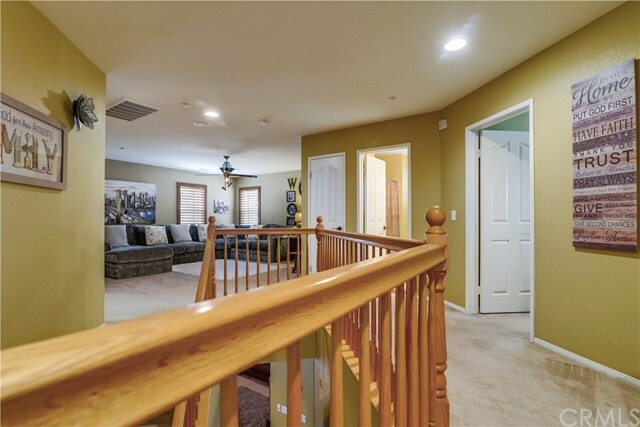 Natural Wood railing. 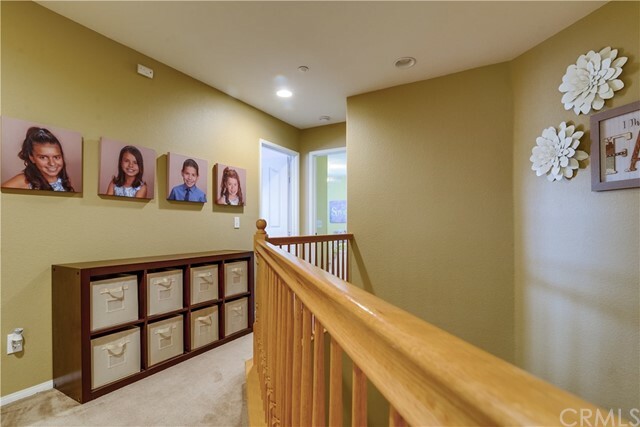 Upgrades include: double door master bedroom entry, 9 Ft. ceilings at 1st floor, 8 Ft. ceilings at 2nd floor, Fireplace at family room and media niche, upgraded oak railing with round pickets, oil rubbed bronze faucets in master bedroom, 42" upper kitchen cabinets, cooktop with pull out shelves, gas stub for BBQ, exterior outlet holiday package with switch, Home Entertainment Surround package, and KB prewire alarm system. 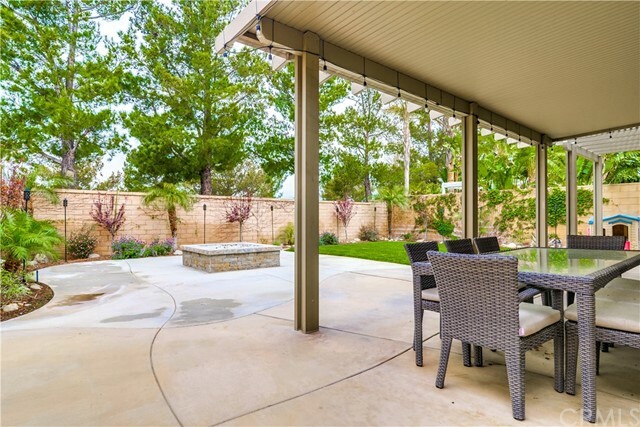 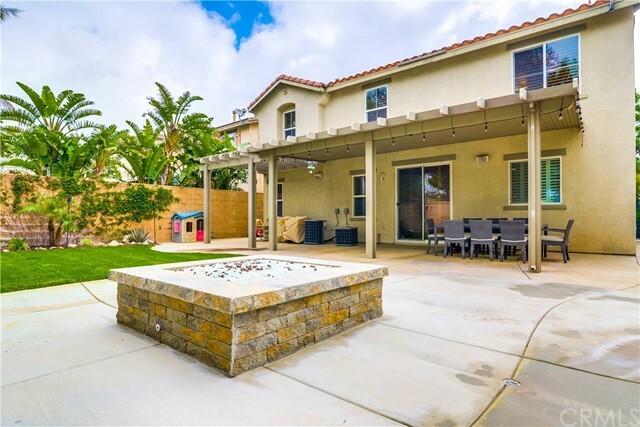 Backyard has been upgraded and has an alumawood patio, grass area and built in gas fire pit - perfect for outdoor events. 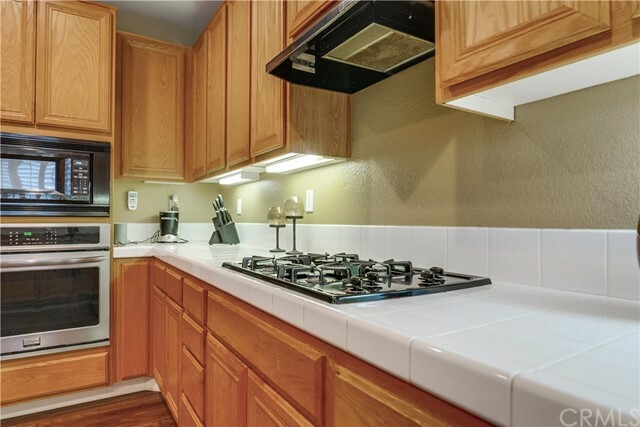 Shopping Center is just south of Sierra Lakes only a few streets away.